Welcome! 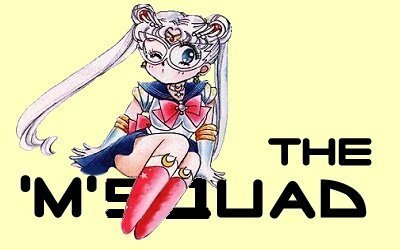 You have found your way into the "M" Squad's home for Sailormoon page reviews, and more! We know that you have gone to a Sailormoon site at least once in your life and thought something like, "I can hardly read the text!" or "Wow, I wish I could do that." That's why the six of us are here to help with our reviews! We also created an E-zine of our own that focuses around helping any site owner who wants a helping hand! Remember, The M Squad is here to HELP everyone!